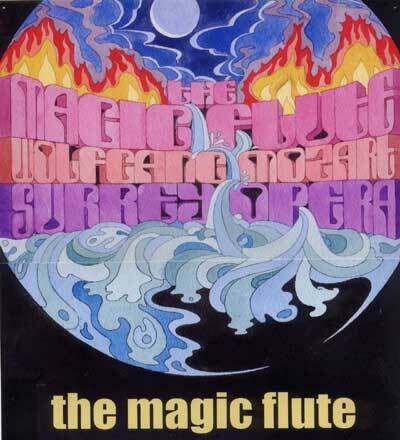 Surrey Opera’s first production was The Magic Flute in 1970. There have now been seventy successful productions, which are listed here. 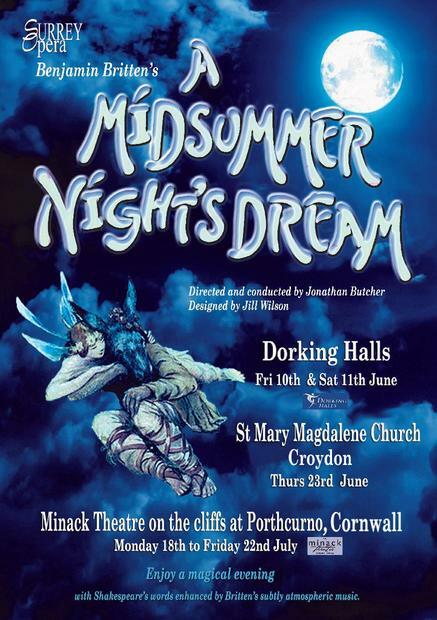 Where there is an active link, please click to see available original cast lists, reviews, photographs and promotional material. The philosophical satire Candide is the best known piece of writing by Voltaire, and Voltaire wrote a lot. One of the most prominent figures in 18th century French national life, he wrote not only thousands of letters (his correspondents included Catherine the Great of Russia and Frederick the Great of Prussia), but also poetry, plays, historical studies, political pamphlets, scientific works and even science fiction: the title character of Micromégas is a 120,000-foot tall alien who visits earth with a mile-high chum from Saturn. Music by Frederick Loewe Libretto and lyrics by Alan Jay LernerBased on “The Once and Future King” by T H White Original first-class production staged by Moss HartSurrey Opera brings a brand new production of Lerner and Loewe’s Camelot, their spectacular Tony award-winning take on the legend of King Arthur and the Knights of the Round Table. 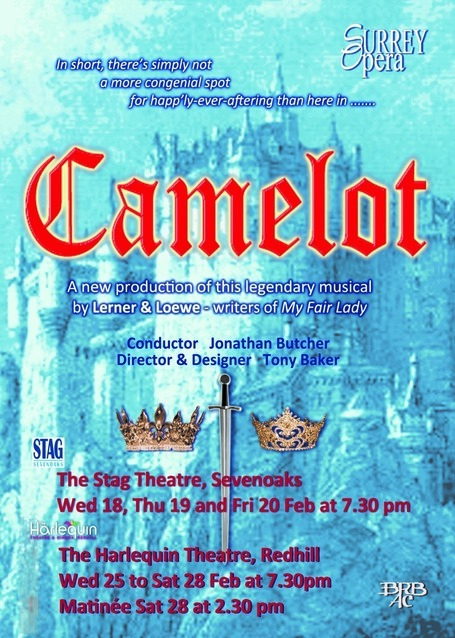 Chivalry, romance, pageantry and treachery combine with one of the most glorious and memorable scores in the history of musical theatre – “If ever I would leave you”, “Camelot” and “How to handle a woman”. 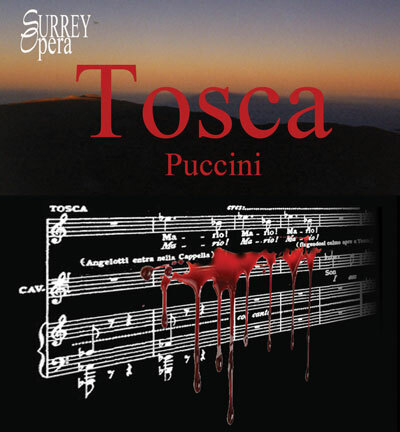 Puccini’s TOSCA was first performed at the Teatro Costanzi in Rome on 14th January 1890 and is arguably one of the top ten most popular operas of all time. Its drama and sheer musical lyricism are compelling – so much so that it has inspired countless leading opera singers to give thrilling and unforgettable performances, Maria Callas and Tito Gobbi to name just two. Tosca, premiered at a time of unrest in Rome, had its first performance delayed for a day for fear of disturbances. …and gradually one of the stones became a woman! An Opera in Three Acts Music by George Lloyd 1913–1998 Libretto by William A. C. Lloyd Not staged since its première in 1934 and short London run in 1935, George Lloyd’s Iernin tells the story of a maiden turned to stone by puritanical priests, only to reawaken hundreds of years later and ensnare the heart of a betrothed Cornish nobleman. This is set against the backdrop of a soon to be occupied Cornwall and the struggle of its leader and people to retain their independence from the Saxon overlords. 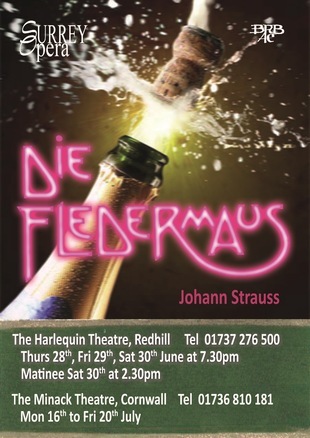 Surrey Opera presented a brand new production of Johann Strauss’s famous operetta Die Fledermaus, with a contemporary twist devised by Director Alexander Hargreaves and English National Opera translation by Leonard Hancock and David Pountney. 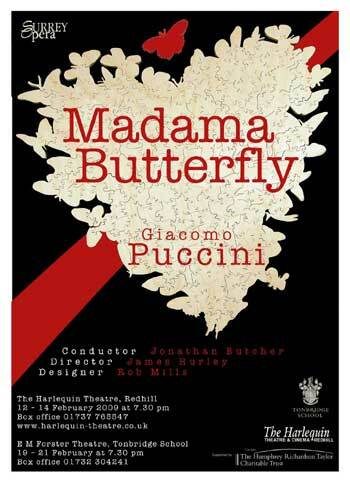 Having enjoyed a hilarious round of mistaken identities, flirtations at a masked ball amidst a superbly decorative set designed by Jill Wilson, plus Strauss’s brilliant melodies performed by professional soloists and instrumental ensemble with the Surrey Opera Chorus conducted by Jonathan Butcher. 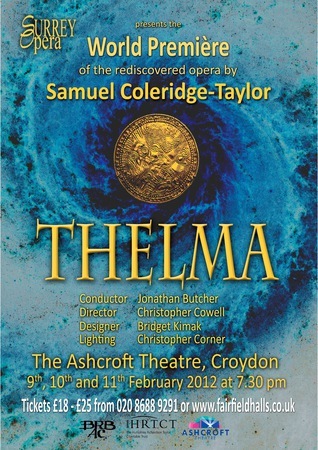 Surrey Opera staged the World Première of Samuel Coleridge-Taylor’s long-thought lost opera Thelma at The Ashcroft Theatre in Croydon, where the composer lived and worked for his entire life, as part of a year-long Festival in the Centenary year of his death. Coleridge-Taylor, a prolific choral and Orchestral composer, is probably best remembered for his major choral trilogy The Song of Hiawatha, performed annually for many years at the Royal Albert Hall and rivalling only Handel’s Messiah and Mendelssohn’s Elijah in the public’s affections. 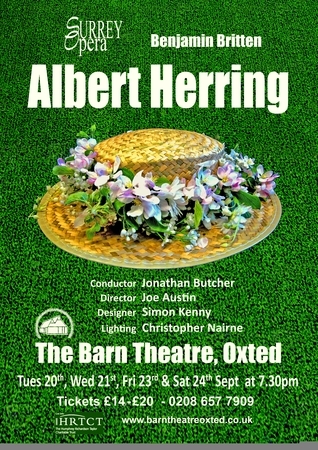 Surrey Opera made its Barn Theatre debut in September 2011, with an exciting new professional production of Benjamin Britten’s comic opera, Albert Herring. This acknowledged masterpiece was both witty and musically ingenious. 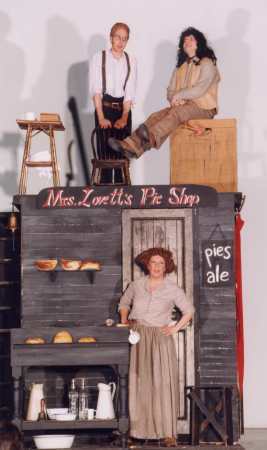 The Barn Theatre (only 35 mins by rail from London) was an ideal setting for this opera, with its hilarious plot that told the story of rural life in a Suffolk village. No girl was pure enough to be May Queen, so it was agreed that there was only one option - to crown someone May King. 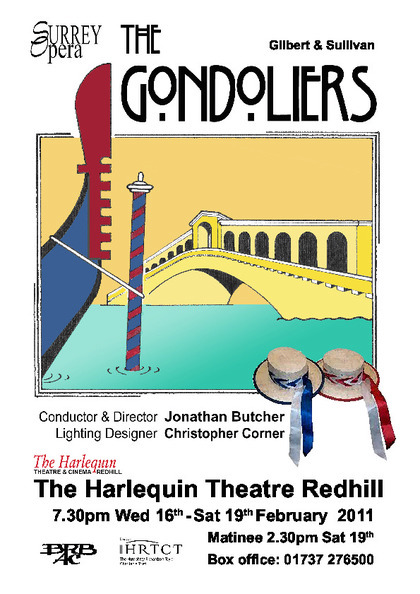 With professional soloists and orchestra, Surrey Opera returned once again to The Harlequin to present a sparkling new production of, surely, Gilbert & Sullivan’s most exquisite and finely crafted comic opera, The Gondoliers. With Gilbert’s razor sharp wit satirizing period class distinction and the monarchy, plus Sullivan’s colourful score featuring a barcarolle, cachucha, gavotte and endless singable melodies, this was an evening to delight and enthrall. Mistaken identity was at the heart of the plot, and the negligence of a drunken gondolier entrusted with the upbringing of an infant king, who muddled up the young monarch with his own son, meant that no one (well not quite) was sure who was the rightful heir to the throne of Barataria. 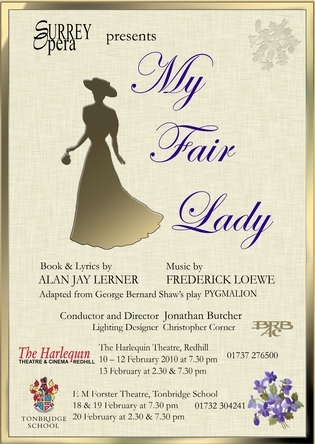 Surrey Opera presented a glorious new production of Lerner and Loewe’s timeless masterpiece, My Fair Lady. 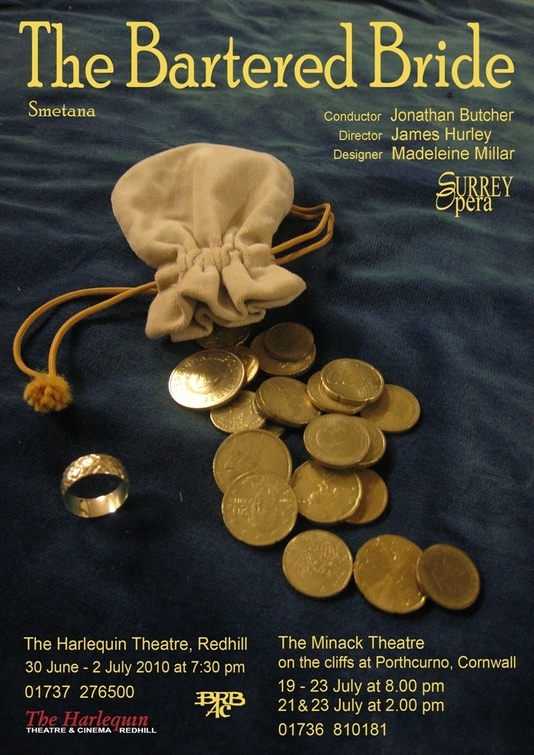 Performances were at: Harlequin Theatre, Redhill - Wednesday 10 to Saturday 13 February at 7.30pm with a 2.30pm matinée on 13 February E M Forster Theatre, Tonbridge - Thursday 18 February to Saturday 20 February at 7.30pm with a 2.30pm matinée on 20 February. Set in 1905, Fiddler on the Roof takes place in Anatevka, a small Jewish village in Russia. The story revolves around the dairyman Tevye and his attempts to preserve his family’s traditions in the face of a changing world. 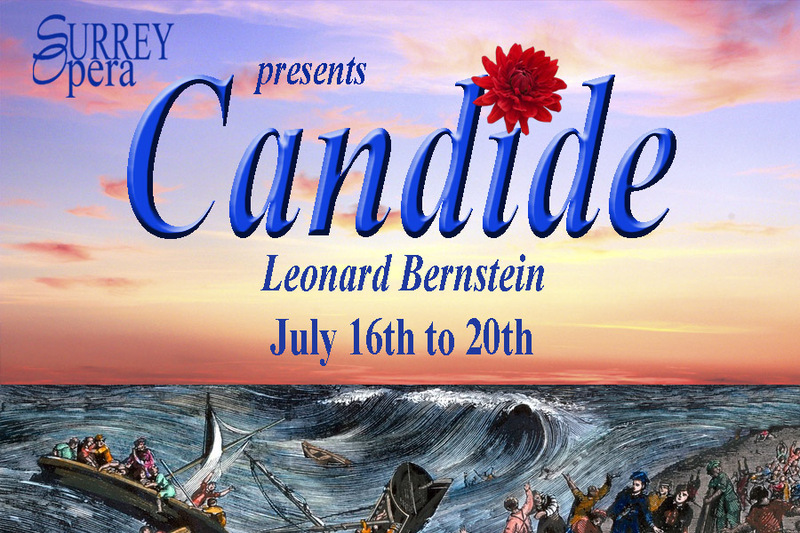 When his eldest daughter, Tzeitel, begs him to let her marry a poor tailor rather than the middle-aged butcher that he has already chosen for her, Tevye must choose between his own daughter’s happiness and those beloved traditions that keep the outside world at bay. For its third visit to Minack, Surrey Opera is delighted to present an exciting new (but traditional) production of Bizet’s popular opera sung in English. A tale of love, jealousy and redemption, The Pearl Fishers will transport you to an exotic land where the ancient gods still rule. 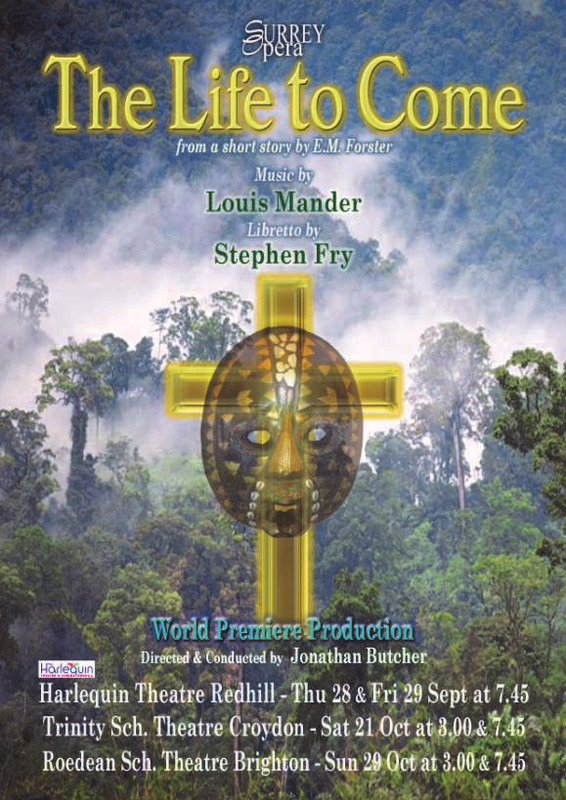 Bizet’s atmospheric score plunges the listener into the story from the very first note. In a fishing village in ancient Ceylon, two men reaffirm their friendship (in the famous duet “Within the sacred temple”) after rivalry for the same woman has almost destroyed them both. According to Greek legend, Orpheus went down to the underworld, where he persuaded Hades to let him have back his wife Eurydice. Hades told him that she would follow him back to Earth so long as he did not look back. He did look back and he lost her again. Offenbach’s Operetta Orpheus in the Underworld varies the story: Orpheus has no desire for Eurydice but the underworld is a wonderful place full of enjoyment where everybody dances the Can-Can. 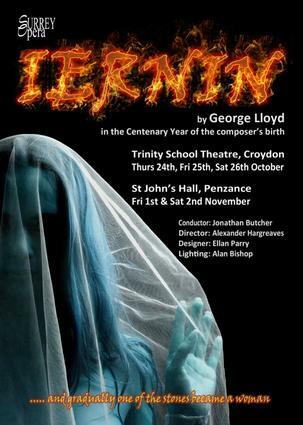 Surrey Opera returned to Chequer Mead with a new production of this ever-popular opera. Set in Paris, La Bohème is said to be Puccini’s most enchanting opera. The tale of the seamstress Mimi and her doomed love for the poet Rodolfo is combined with a heartrendingly beautiful score. Sung in English with full orchestra, adult and children’s choruses, this promises to be an unforgettable event. La Traviata is one of the most popular of all Operas. It is the story of the French courtesan Violetta who, suffering from consumption, finds the love of a good man, Alfredo, and through love she finds respite from her condition. But after a while she is forced to reject Alfredo by his father. By the time the father has relented and Alfredo discovered what had happened, Violetta is on her death bed. Carmen has been called “a tragedy of love, sun and death.” The story is set in and around the Spanish city of Seville. Carmen, a beautiful and wayward gypsie girl, is loved by the soldier Don José. But Carmen is fickle and, when the dashing toreador Escamillo arrives on the scene, Don José’s love turns to violent obsession, with dramatic and tragic consequences. The opera has a savage Mediterranean beauty quite unique in music. 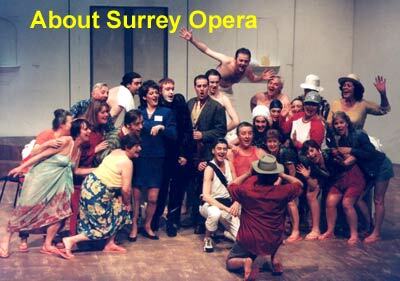 … and these productions were before our first web site!